In 100 Mandela Moments, Kate Sidley collects a wonderful range of stories that mark the anniversary of his birth. A hundred memories of the great man, as revolutionary, world leader, family figure, and more, to celebrate the 100th anniversary of his birth. The book offers insight into Mandela’s life by retelling humorous, heart-warming and momentous moments from his life, roughly chronologically, drawing from his own writing and the memories of contemporaries, historians and ordinary people. 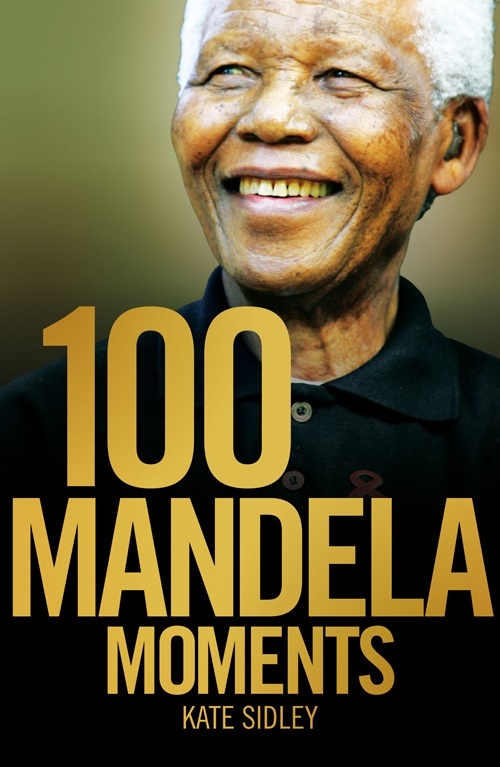 This series of excerpts from 100 Mandela Moments was published with permission from Jonathan Ball publishers. In August 1995, struggle stalwart Amina Cachalia received an invitation to accompany her dear friend Nelson Mandela to visit an old woman in the Northern Cape. Cachalia had her reservations about the visit. The old woman was Betsie Verwoerd, the spouse of former prime minister Hendrik Verwoerd, the ‘architect of apartheid’. And the destination was Orania, a white enclave established by hardline Afrikaners on private land in the Karoo. After first visiting Veronica Sobukwe, the widow of Robert Sobukwe, in Alice in the Eastern Cape, Mandela, Cachalia and Albertina Sisulu flew to Orania where they were received in the community centre. It is a picture that borders on the surreal – Nelson Mandela and Betsie Verwoerd chatting over tea and coffee, melktert and koeksisters, in the company of the Verwoerd daughter, Anna, and of course Cachalia and Sisulu. Verwoerd’s son-in-law, Carel Boshoff, the founder of Orania, hovered about. Verwoerd had once lived the life of a first lady, in beautiful official residences in Pretoria and Cape Town. 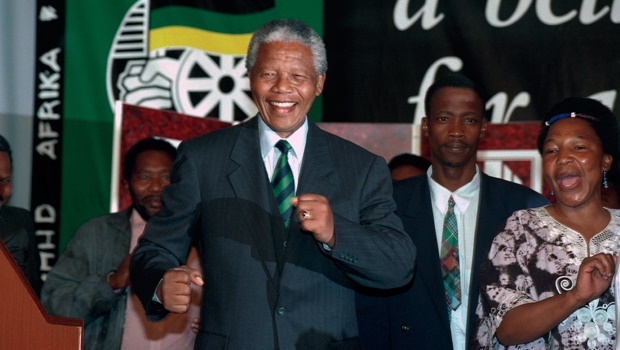 Nelson Mandela had spent 27 years in prison as a result of her husband’s policies. And now Mandela was living in her one-time home, and she was living in self-imposed exile in a dusty dorp in the middle of nowhere. After tea, this odd group walked over to the monument to Verwoerd. Mandela posed next to it. As Cachalia tells the story, ‘There on the top of a koppie was this tiny statue of the man who had ruled our lives with an iron fist. Mandela was devoted to the idea of reconciliation, and was a master of the grand symbolic gesture. The visit to Betsie Verwoerd was applauded by some as a generous gesture of racial reconciliation during a turbulent time. Others thought that Mandela had taken his reconciliation efforts too far. After all, it was Verwoerd who had taken the ideas of apartheid and created the laws that denied black people the right of citizenship, and condemned them to a hopeless education. As they returned to the aircraft for the last leg of their trip – to visit Nokukhanya Luthuli, widow of Chief Albert Luthuli – Amina Cachalia gave a sigh of relief and said to Mandela: ‘Never, ever bring me here again.’ He threw back his head and laughed. Not many would dare to call Queen Elizabeth II anything but ‘Your Majesty’. 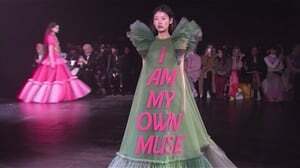 And nobody would dream of addressing her as ‘Elizabeth’. Prince Philip, the Duke of Edinburgh, alone has that honour. Well, Prince Philip and Nelson Mandela. Madiba famously didn’t stand on ceremony around the British monarch, whom he apparently rather admired. She seemed not to mind his familiarity – maybe it made a change from the usual formality. During Mandela’s state visit to the United Kingdom in 1996, instead of a traditional state dinner to return the Queen’s hospitality – he stayed at Buckingham Palace as an honoured guest – he hosted an evening of music and dance to raise money for his Nations Trust to help schoolchildren back home. It was an all-star event – Tony Bennett, Quincy Jones, Phil Collins, Hugh Masekela and Benjamin Zephaniah were among the performers – held at the Royal Albert Hall (which Mandela apparently referred to as ‘this big round building’). The highlight of the evening was South Africa’s Ladysmith Black Mambazo. When they came on stage, Nelson Mandela, dressed in a black silk shirt, got to his feet for his customary Madiba dance – in the Royal Box! The Prince of Wales was swaying and clapping. The Duke of Edinburgh joined in, followed by the Queen who, in the words of the next morning’s Daily Telegraph, ‘has seldom been known to boogie in public’. Nelson Mandela had got the Queen on the dance floor! Mandela’s visit to Brixton, London, was something between a royal visit and a carnival. More than 10 000 people – many with Madiba’s face emblazoned on their T-shirts – jammed the streets. A banner on the Brixton Recreation Centre read: ‘Woza Nelson Mandela, Welcome Prince Charles’. Shops and houses and balconies were festooned with decorations and welcome signs. Reggae music pumped from sound systems, competing with choirs and the calls of Brixton hawkers selling videos of Mandela’s release from prison. Boys and girls who had been kept home from school for the occasion shimmied up street poles to get a better view. Locals came out in their best African dress. When they finally caught a glimpse of their hero, some of the assembled fans burst into tears. Mandela had insisted on putting Brixton on the list of places to visit on his whirlwind 1996 tour of London. The largely black neighbourhood had often been a hotbed of racial tension and had been the scene of rioting in 1981. Many Brixton residents had suffered prejudice and intolerance, and the area was a centre of anti-apartheid and anti-racist activity during the struggle years. When the ‘king’ of said coronation insisted on walking a bit, he was given a rapturous welcome from the crowd. Newspapers reported that security got uneasy when someone put a girl over the railings to give flowers to Mandela. Mandela and Prince Charles were bundled into the car, and headed for South Africa House in Trafalgar Square where Mandela was to give a speech. The impassioned crowd gave chase. When the car was gone and the jubilant crowd had dispersed, a jumble of shoes was left, stretching the length of Brixton Road, abandoned by their owners in pursuit of their hero, Nelson Mandela.